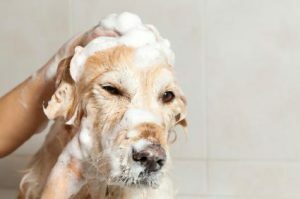 Watch this demonstration of the AquaShield PICCGard! Easy to use, long lasting, waterproof protection for your PICC line and dressing. Swimming with AquaShield Video This young boy is enjoying his Florida vacation even with a leg cast. 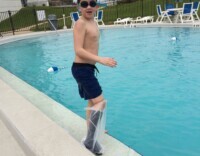 His AquaShield Cast & Bandage Protector half leg model kept his cast dry both at the pool, beach and when showering. The AquaShield Reusable Cast and Bandage Protector can now be purchased at various Good Neighbor Pharmacies around the U.S.
I’m thrilled to report that it worked like a charm.